Awesome News Alert! The Tableau Spatial File Connector has received honorable mention in the Graphic Design & Data Visualization category in Fast Company’s 2017 Innovation by Design Awards! I’m the Product Manager for Maps and Spatial Analysis at Tableau, and I love all things “geo.” When I first joined Tableau a couple of years ago, I came with the goal of enhancing the mapping and spatial analytic capabilities of the product. In the earlier days, if you wanted to use custom geographic boundaries in Tableau, it was hard. You had to run through some extensive pre-processing operations to create point-ordered tables for custom polygon marks or, at the very least, rely on someone who knew what to do. As we built out the roadmap for the future, one thing was especially clear–our customers wanted an easier way to work with their own spatial data. When I say “spatial data” here, I’m not talking about geographic place names used in geocoding. I’m referring to native spatial data stored as geometry primitives like points, lines, and polygons. Our dev team could have gone in multiple directions. We dug into this capability and built support for spatial data the foundational way – by introducing spatial as a type. This means spatial is understood like numbers, strings, and dates, and provided us the flexibility to continue innovating. Fast forward to the release of the spatial file connector in Tableau 10.2, and customers have gravitated to spatial visualizations in droves. 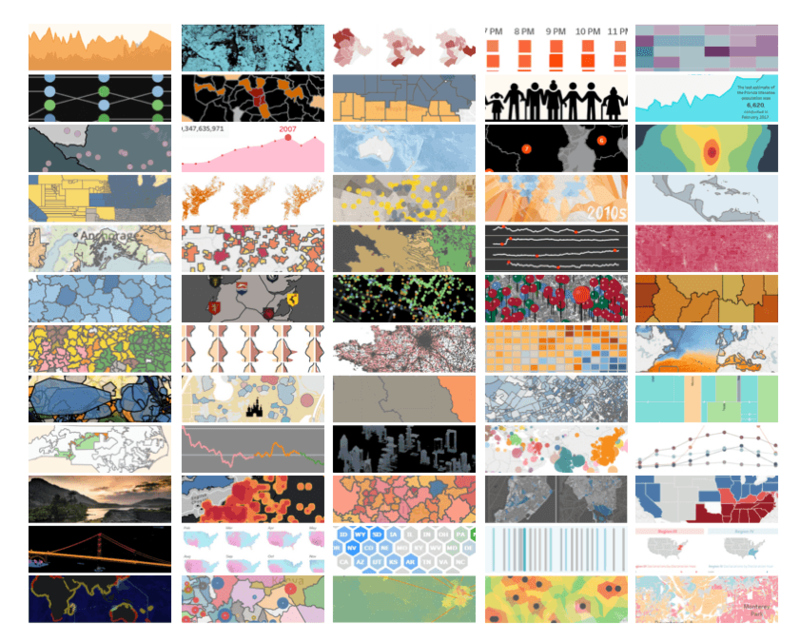 Tableau’s community has exploded with spatial visualizations, highlighted by the first round of the 2017 Iron Viz competition. During the Iron Viz feeder contest that took place in March, over 60 unbelievable vizzes were built using the spatial file connector. Now I had the harrowing task of being a judge and I was blown away by the quality of the entries. While relatively shocked by Fast Company’s honorable mention, I’m incredibly proud that this feature stood out from over 2,500 entries because it’s a testament to the creativity and effort that went into making it happen. So what does the product roadmap look like for us? The best way to learn more is to attend TC17 in Las Vegas October 9-12, where there will be plenty of opportunities to find out about the upcoming improvements we’re bringing to mapping and spatial data. If you need a little more convincing, here are 10 reasons why you should join us this year. See you on the Vegas Strip!